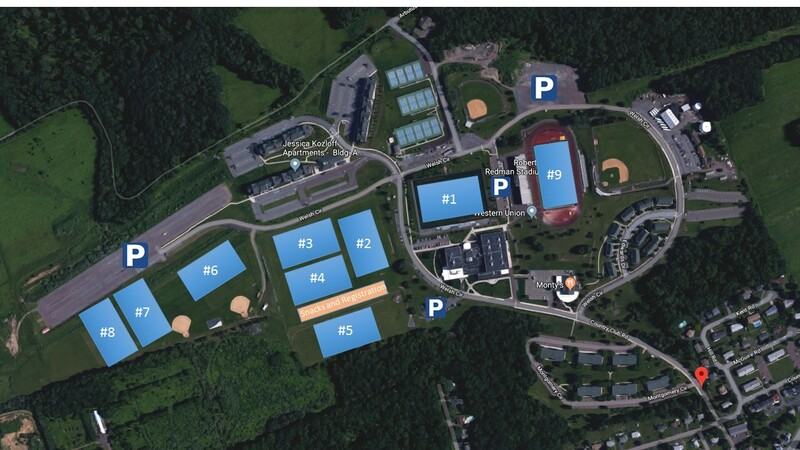 The annual Bloomsburg University Boys & Girls College Showcase will take place on the beautiful campus of Bloomsburg University in Pennsylvania June 1st-2nd, 2019. Top level club teams are being invited to this event and this will be an exceptional opportunity to network and be seen by college coaching staff from around the region. Boys and Girls will play on the same weekend. The College Showcase is for U15 – U19 Boys & Girls teams. BOYS AND GIRLS WILL PLAY ON THE SAME WEEKEND! Global Team Events is pleased to announce the appointment of Halpern Travel as our Official Tournament Housing Coordinator for the Bloomsburg Boys Showcase and Festival. All teams are required to book their hotel reservations through Halpern Travel to ensure their place in the tournament. Any teams that do not comply will be at risk of forfeiting their acceptance. Halpern Travel comes to us highly recommended for their commitment to providing professional service and for their attention to detail. They have extensive experience in tournament housing coordination. Halpern Travel’s secure, online hotel reservation system allows teams to view information about hotels, including rate, area location and amenities. Teams are able to reserve their rooms 24/7. Clubs requiring a large block of rooms for multiple teams should contact Halpern Travel for special assistance at 888.640.6400. We look forward to partnering with Halpern Travel to successfully meet the housing needs of teams attending the Bloomsburg Boys Showcase & Festival.